The building was based on an octagonal foundation, constituting the basis for the four-storey main body of the building. Radiating from it are four lower wings – breakfront wings - accommodating the main entrance from the staircase and rooms. The Palace itself, encompassed with an English style landscape park by the architect thus it merges perfectly with its sylvan surroundings. The work for Prince Anthony Radziwill made Schinkell famous, as the most outstanding architect of the epoch, during which he built the New Garrison building, the cathedral, the Old Museum and the theatre in Berlin. His works also included palaces, among them Charlottenhof and Charlottenburg. In 1824 the small classical palace of Antonin was built, where the prince together with his whole family led a lively social and artistic life. Important personalities from the worlds of politics and art visited the hunting residence. The main construction of the Hunting Palace in Antonin was built from wood, based on foundations of bog iron ore. Filling it with brick walls and covered with larch beams, it gives the impression of an entirely wooden building. Inside the building was raised an enormous Doric column, being at the same time a chimney with two fireplaces. The interior of the main hall was completed with a ceiling of radiating beams. Around this hall at the height of the first and second floors, run galleries screened with balustrades, leading to rooms in the wings of the Palace. Numerous hunting trophies - are displayed in the interior to this day - the only such collection within a radius of several hundred kilometres. 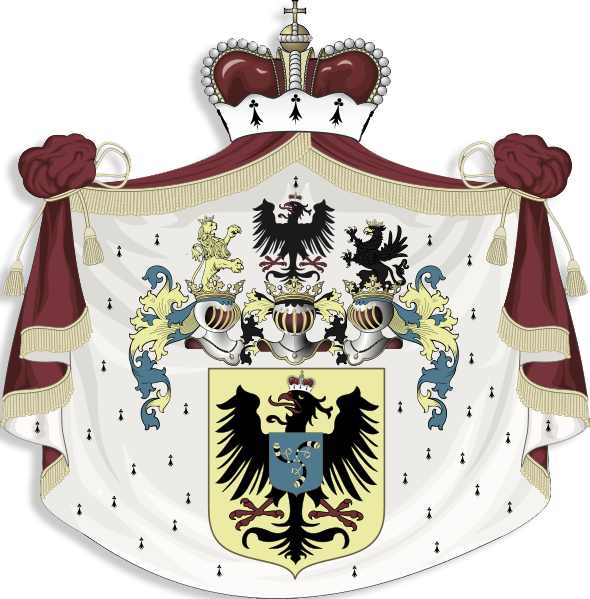 Prince Anthony then held the office of royal viceroy of the Grand Duchy of Poznan. Privately however he was a great art lover, graphic artist, composer and violoncellist. Among other pieces he composed music for Goethe's Faust. It was due to his endeavours that Nicolas Paganini himself performed in concert in Poznan. Anthony Henry Radziwill also filled the role of protector of the fine arts. Frederic Chopin – wreathed in fame since his youth, for these reasons certainly was a also guest at Antonin. 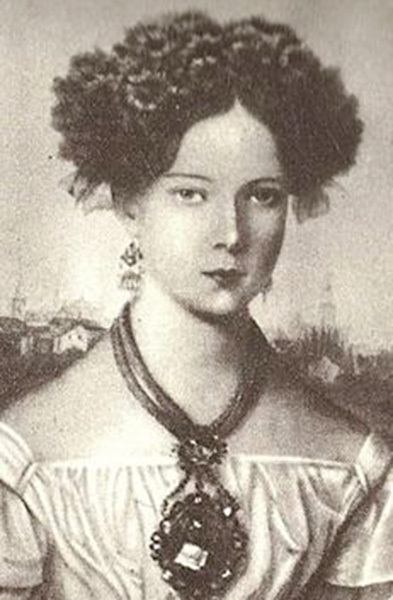 During his visits here, in the years 1827-1829, Chopin played, gave lessons to the little Princess Wanda Radziwill, conducted academic disputes with his host on the complexities of the art of the composer and composed. It was here that the Introduction and Polonaise C major opus 3 for piano and violoncello were created. 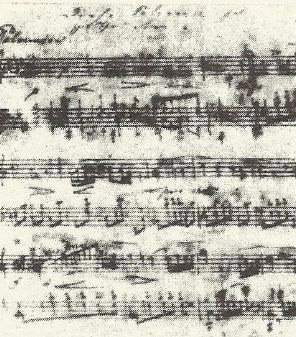 The trio G minor opus 8 dedicated to Radziwill should be remembered, for which he thanked the composer in a subsequent letter. 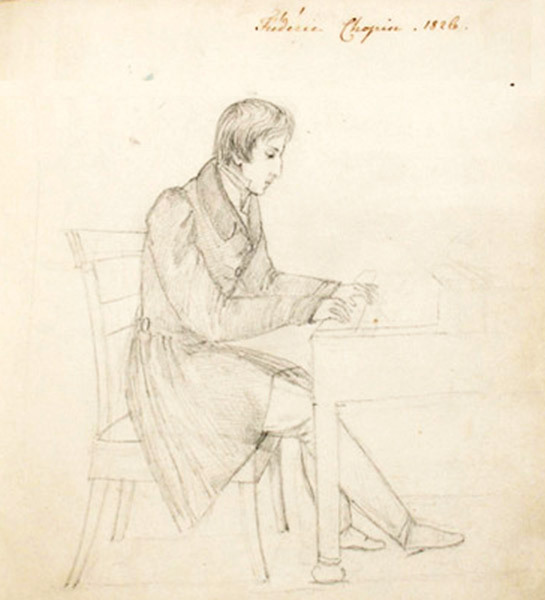 Chopin himself also wrote of his stay at Antonin in a letter to a friend: "I was there for a week. You would not believe how well I am treated by him. I returned by the last post, and only just managed to decline a longer stay." After the Second World War, nationalised by the communists, the Palace was neglected and deteriorated. The first renovation took place in the years 1975-1978. This was brought about mainly by Jerzy Waldorff. In 2003 he was honoured with the prestigious distinction of the Europa Nostra Award, for the restoration of the Radziwill Palace in Antonin. To this day Frederic Chopin patronises the Palace. His music resounds here during numerous concerts of outstanding pianists. The most well known is the annual festival "Chopin in Autumn Colours". The visits of the composer to Antonin are also recalled by the music salon with instruments of the period, pictures and lithographs and also a cast of the hand of Frederic Chopin kept in the Palace.